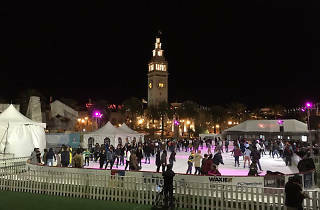 This massive holiday ice rink has the distinction of being across from the historic Ferry Building on San Francisco’s Embarcadero. 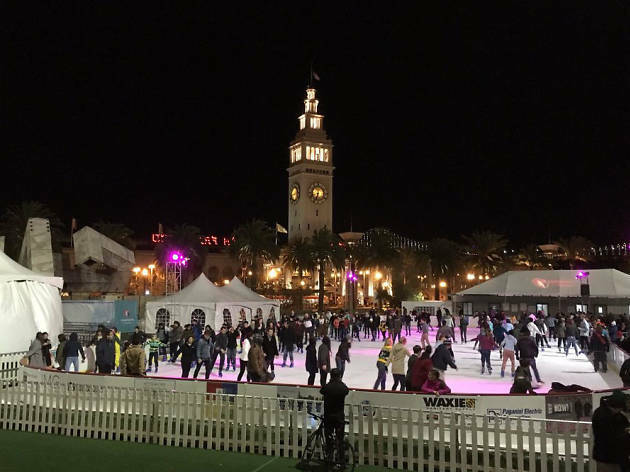 A ticket ($7-$12) gets you an hour-and-a-half to glide across the ice (skaters are admitted on the hour throughout the day). On Friday and Saturday, the rink is open late for an adult-skewing festive evening.